The announcement came days after the network condemned comments Pirro made about Rep. Ilhan Omar, the anti-Semitic Democrat from Minnesota, and one day after a horrific mass shooting in New Zealand. Naturally, news of the change didn’t sit too well with quite a few fans on social media. Soooo…. judge Jeanine’s gets suspended tonight because she spoke ‘truth to power’. Yet Christians and patriots are Vilified EVERY DAY by MSM hosts & nothing happens?? This is how Islamism takes a foodhold & our 1A rights eroded. Protest to @FoxNews Call them out. 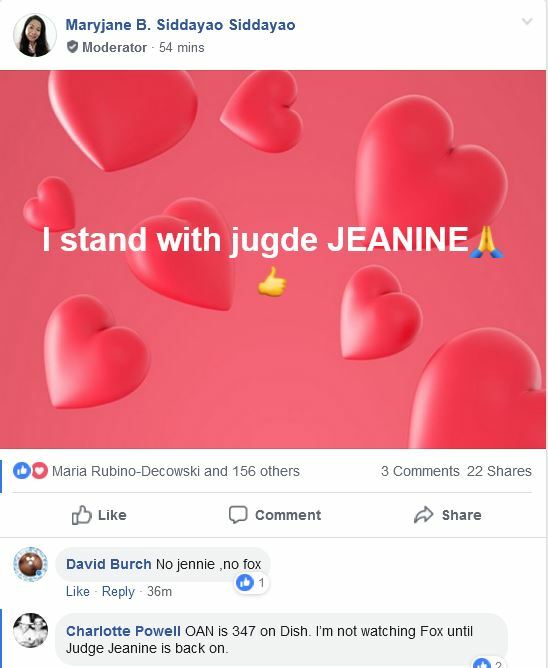 What happen to the show Judge. @FoxNews What's wrong with you for not aring Judge Jeanine Pirro's show todnight! I'm not watching what you are airing! I thought you were a voice for those who have courage to speak against the tide but I guess I'm wrong! Shame on you! Judging from the response we’ve seen on social media, there could be much more than a grain of truth in that statement.